4 mm Tungsten – 3 Green Emeralds, Highly Polished, Domed Ring, Comfort Fit. 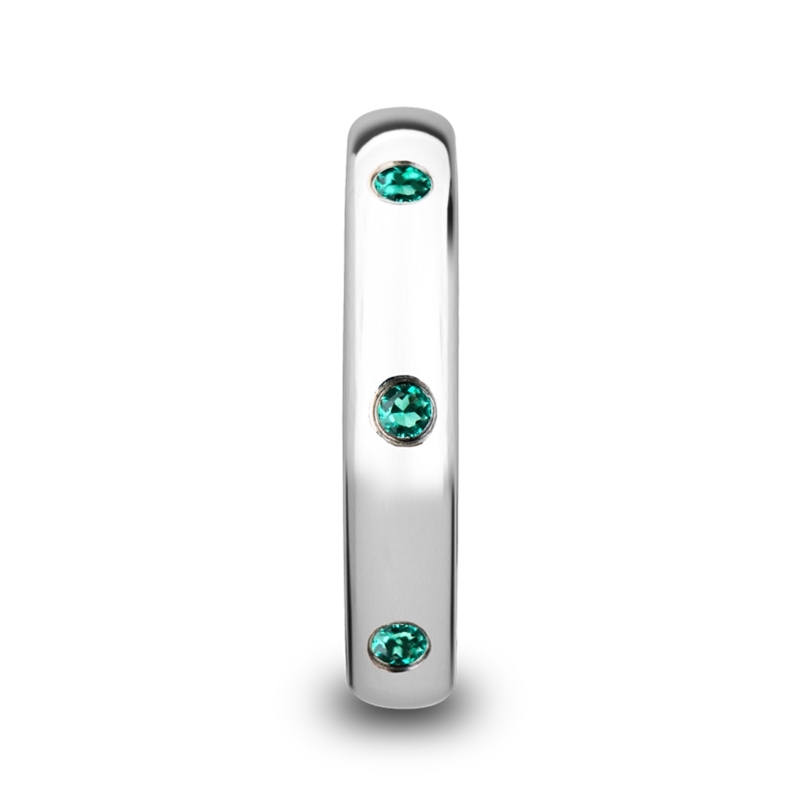 Rich, elegant, stunning. 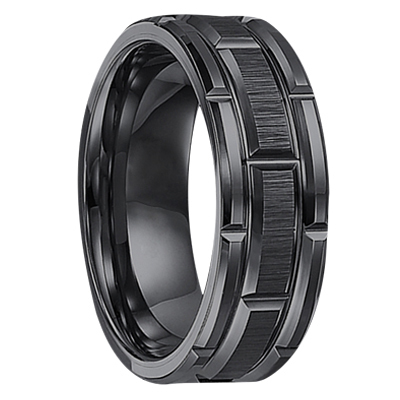 Our LIFETIME WARRANTY includes all manufacturing defects and sizing – the most comprehensive lifetime warranty in the industry. 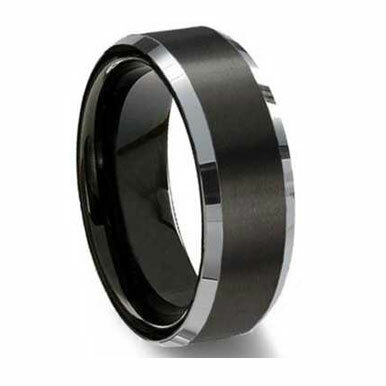 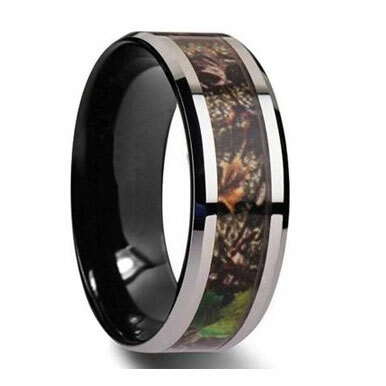 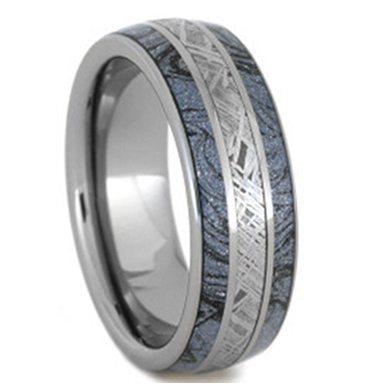 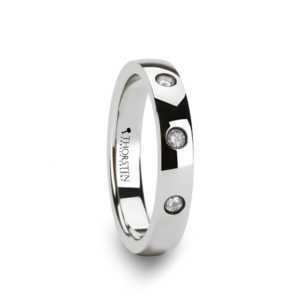 For example, if this stunning tungsten ring ever discolors, splinters, chips, cracks, or breaks – it is covered. Buy it once – for life! 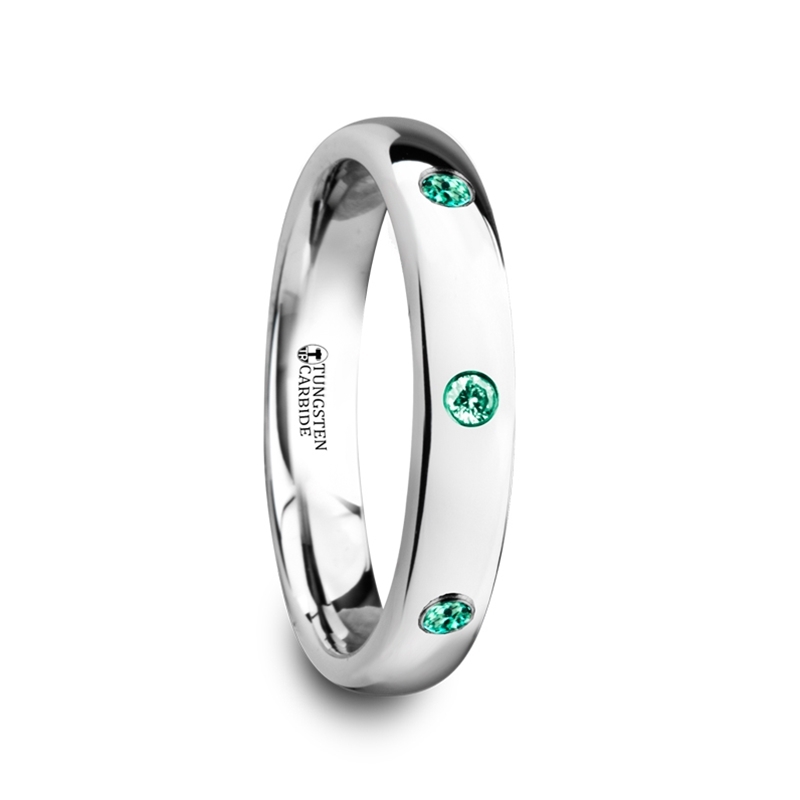 No other ring carries this comprehensive of a warranty.